Sukanto Tanoto, is one of Indonesia’s most successful businessmen. Beginning his entrepreneurial journey at the tender age of 17, he has spent the past 50 years building an empire for himself. Today, Sukanto Tanoto sits as chairman of RGE, which manages the biggest names in the natural resource industry such as APRIL, Sateri, and Pacific Oil and Gas. With his companies collectively employing 60,000 workers and having assets worth US 18 billion dollars, Sukanto Tanoto is a bona fide success story. Most impressively, Sukanto Tanoto has done all that while adhering to the principle of creating shared value for the Community, Country, Climate, Customers, and Company. It is known as the 5Cs principle, and has served as the compass on which all of his companies have operated on. Throughout 50 years of business, Sukanto Tanoto’s belief in the 5Cs has never wavered, and has helped him build up a reputation for being one of the most respectable names in business. Following the tradition of doing good for the community, alumnus of the Tanoto Foundation Scholarship Programme recently broke fast with the orphans from Pondok Tahfidz Al Quran. The event, which received a strong turnout, was symbolic of the close bonds formed between the scholars through the Tanoto Foundation, which was founded by Sukanto Tanoto and his wife, Tinah Bingei Tanoto. More than that, it was a clear expression of the values inculcated within all the scholars. The event was only a continuation of the alumnus’ tradition for giving back – they have for a long time been active in lending their efforts, time, and money towards social causes. Sukanto Tanoto is one of Asia’s most successful entrepreneurs, a reminder of what can happen with the right combination of graft, will, and ambition. The billionaire founder of APRIL, Sateri, and Pacific Oil and Gas currently helms RGE as chairman; RGE manages the various business groups mentioned amongst others. With a business worth 18 billion in assets and a workforce of 18,000 employees, Sukanto Tanoto has undoubtedly been a bona fide success. Sukanto Tanoto’s success becomes all the more impressive once one considers the principled ways through which he has conducted his businesses. The veteran businessman strongly believes that businesses can profit by putting the community first, and the 5Cs principle that he espouses is testament to this belief. This principle, which emphasises the importance of doing good for the Community, Country, Climate, Customer, and Company, has unsurprisingly become a compass by which all his businesses find their direction. With 50 years of value creation and experience under his belt, Sukanto Tanoto’s legacy is rock solid, and looks set to continue through his son, Anderson Tanoto. The youngest son of Sukanto Tanoto is a rising star in the business. The 28 year-old graduate of the famed Wharton School of the University of Pennsylvania is currently a Director at RGE, as well as a board of trustees member at Tanoto Foundation, the philanthropic arm started by Sukanto Tanoto and his wife, Tinah Bingei Tanoto. While he may share the family name, Anderson Tanoto certainly took no shortcuts in his rapid rise to the top. Determined to learn the ropes right from the bottom, Anderson first gained experience as a consultant at Bain & Company, where he worked for two years; thereafter he made the switch to RGE as an assistant manager. It was a mark of his early maturity and vision, that he refused to be pushed straight into an upper management position, Anderson credits his success to his understanding of the company at every level. Today, Anderson Tanoto is masterful and self-assured, deservedly so; he is well respected for the many changes that have made RGE more transparent, efficient, and community-centric as the company moves into the digital age, which brings along its own set of opportunities and challenges. As Sukanto Tanoto celebrates 50 years of business, he is surely at ease, as Anderson waits in the wings to lead RGE through the next 50. Mention the word entrepreneurs, and Western luminaries such as Mark Zuckerberg or Bill Gates readily spring to mind. Much less emphasis or attention, surprisingly, has been placed on their no-less-impressive Asian counterparts. Asian giants such as Mochtar Riady, Li Ka Shing, or Sukanto Tanoto have often been overlooked, in part due to their proclivity for privacy. The latter, Sukanto Tanoto is quite simply a one man force of nature. Starting his first business as a seventeen year-old school-dropout (though not by choice), his zest and verve were clear to see. Combined with a sharp and entrepreneurial mind, there was only one way he would go – up. Today Sukanto Tanoto is chairman of global resource giant RGE, which manages several other companies such as APRIL, Sateri, and Pacific Oil and Gas. It has only been through that entrepreneurial and fighting spirit of his, that Sukanto Tanoto has the success he may rightly claim today; his companies boast a workforce of 60,000 and assets worth over 18 billion dollars. While the 68 year-old is clearly an example of entrepreneurship gone right, Sukanto Tanoto is determined to ensure he gives back to the society from which he has benefitted, and has done much in this regard. Most recently, Sukanto Tanoto’s APRIL was featured by Indonesian publication Metro Riau. Specifically, the company’s well loved community development (CD) programme – which seeks to help locals begin their own entrepreneurial journeys – was covered. One beneficiary of the CD programme, Budiono, was interviewed. Budiono, now the proud owner of a motor garage, was given a life-changing opportunity through the CD programme run by Sukanto Tanoto’s APRIL. Not only did APRIL provide Budiono with training on managing his own business, the company helped Budiono with his applications for bank loans. The rest, as they say, is history – and today Budiono is yet another success story in an Indonesia that growingly entrepreneurial. APRIL’s CD programme is just one of Sukanto Tanoto’s many commitments in ensuring that his businesses’ presence in local communities remains beneficial for everyone involved. It is in line with his business philosophy of creating shared value in a sustainable manner, and looks set to continue for a long time more. Sukanto Tanoto is a staunch believer in education; in its power to enhance and empower lives, and the need to be a lifelong learner to stay ahead. Despite all of his successes – he is after all, chairman and founder of RGE, which manages companies such as APRIL, Sateri, and Pacific Oil and Gas – it has remained one of his passions. In part, it is a passion borne from the disruption of his education at the age of seventeen. Far from dampening his desire to learn, it has made him a more voracious and motivated learner. Not only has he taught himself English by translating Readers’ Digest and Newsweek, he has also undergone further studies at one of the world’s top business schools, INSEAD. More than just a spirited learner, the billionaire entrepreneur is also adamant that no one else should ever have to suffer the same fate as he had as a seventeen year-old. Through Tanoto Foundation, the philanthropic foundation he founded with his wife Tinah Bingei Tanoto, they have dedicated time, effort, and resources into educating, empowering, and enhancing the quality of lives to alleviate poverty. Even for his companies, Sukanto Tanoto has worked hard to ensure his companies do their part too. 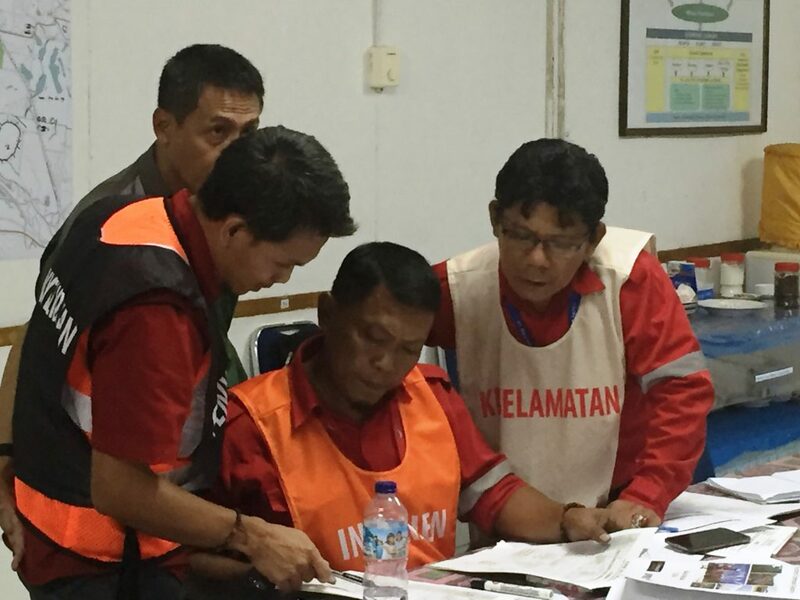 PT RAPP, the Indonesian operations arm of APRIL, has been active in this regard. A staunch supporter of the country’s brightest young talents, RAPP offers scholarships to deserving young students. 25 year-old Effendi is one beneficiary of APRIL’s help. Coming from a poor family in Riau’s countryside, Effendi worked hard in school in the hopes of improving his family’s financial circumstances. His determination wasn’t in vain, and APRIL soon recognised his potential. It was enough for the pulp and paper giant to offer him a scholarship back in 2011. Since then, Effendi has only gone from strength to strength. Graduating from Yogyakarta-based agriculture college Institut Pertanian Stiper (Instiper), today he is a researcher at RAPP. He focuses on peatland research, a vital aspect of the sustainable peatland management philosophy that Sukanto Tanoto’s APRIL espouses. Safe to say, Effendi has made the right choice in accepting RAPP’s scholarship years ago. Not only is he not required to pay back for the scholarship, he is now able to support his parents and siblings.